Planning a wedding can be stressful and complicated. To help streamline the process we’ve broken down the various tasks associated with the planning process into 12 simple categories. We recommend that when creating your to-do list, planning binder, and/or timeline you use these categories to help maintain organization. Budget: This is the most important thing to determine before planning your wedding. Be realistic when setting your budget and assume that you will spend slightly more than originally intended as unexpected costs often arise. In order to stay organized, utilize a spreadsheet with columns for item, budget, actual spend, and notes. Date: When selecting a date, take into consideration high and low seasons for pricing, weather, holidays and vacations that may cause attendance difficulties, and availability for preferred venues. Venue: Securing the location for your ceremony and reception should be done as soon as possible. When reviewing options, remember to factor in the guest count, style, seasonal weather patterns, and additional costs that the venue may cause (ex. tenting & seats for outdoor venues, Vogue Ballroom reservation). Guests: After developing a guest list, plan to send save-the-dates 4-6 months out and invites 2 months out. A wedding website can also be created to provide guests with additional info. For out-of-town guests, reserve a hotel block and decide if welcome gifts are necessary. Wedding Party: Once engaged, friends and family will begin to wonder who made the bridal party cut. Decide with your significant other who and how many members will be included 1-2 months after the engagement. Advise of MOH’s and Best Men of their responsibilities (ex. toasts/party planning) a couple of months after the wedding party invitation. Don’t forget to purchase thank-you gifts for the party. Vendors: You will likely have many vendors involved in your wedding. We’ve created a list of typical vendors that you will want to engage 6-9 months ahead of time. FrameByFrame.com.sg photographer, officiant, wedding planner, florist, hair stylist, baker, makeup artist, caterer, videographer, entertainment, linen supplier, staging supply services (lighting, special effects, tents, etc. ), and transportation. 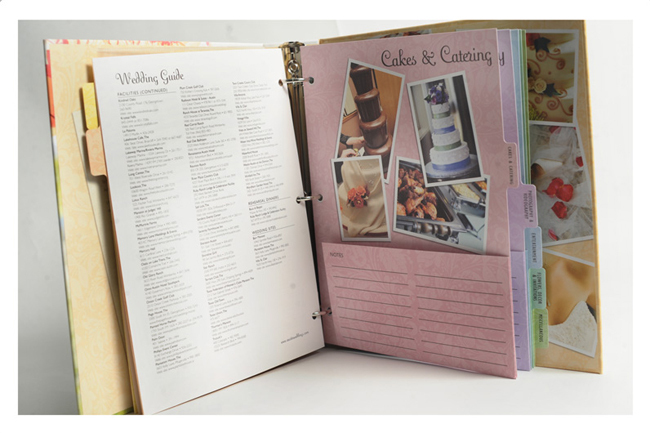 Keep track of vendor contact info, contracts, and information by utilizing a wedding planning binder with clear plastic sheets and tabs. Attire & Styling: Brides should select the wardrobe (dress, veil, shoes, undergarments, and jewelry) early and plan for several fittings right up to the wedding. The female wedding party can purchase dresses closer to 3-6 months out, whereas the men can reserve their outfits 2-3 months out. Ceremony & Reception: Creating the visual design of your wedding is often the most stressful part of the process. Utilize your vendors expertise to help formulate the look and scan Pinterest for ideas and inspiration. Elements of design include flowers, tableware, centerpieces, lighting, walking order, menu cards, and seating chart, etc. You will also want to complete the business part of the ceremony including your marriage license, vows, walking order, and officiant script well before the date. Entertainment: This category can alter the mood of the event greatly. Be extremely selective when picking your music provider (DJ, band), play-list, and other activities (photo-booth and canvas prints) to ensure that they can assist in creating your vision. Work with them to select ‘play’ and ‘don’t play’ lists for the reception, as well as ceremony music. Find incredible wedding bands at WeddingMusicBands.com. Food & Beverage: Whether it’s a buffet or 5 course dinner, you’ll want your guests to enjoy the food. When selecting a menu, keep in mind the special diets and food preferences of your attendees. Don’t forget to engage the baker 6 months ahead of time to ensure your cake will be scheduled. Alcohol can be a large expense, but time-limited open bars, cash bars, and pre-purchased beverages (BevMo wine) can assist in keeping costs down. Pre-Wedding: This is generally one area task-set that you can offload on others. Have the mother of the bride plan the shower, the MOH & Best Man the bachelor & bachelorette parties, and the parents the rehearsal dinner. Post Wedding: The best deals for flights and hotels for your honeymoon generally come 5 months out. If you’re open to a variety of destinations sites like GrouponTravel and LivingSocial offer excellent package options that include extras such as massages and meals. 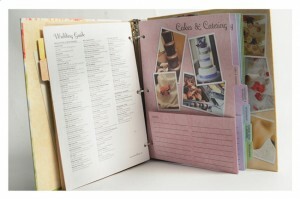 Break up tasks by category and you’ll be sure nothing falls through the cracks on your special day!